California community college students now have a faster route to a four-year degree, thanks to two new state laws enacted this fall. In October, Gov. Jerry Brown signed AB 705, allowing more students access to college-level courses instead of remedial courses when they start community college, and AB 19, giving all first-time students in the state a free year of community college. 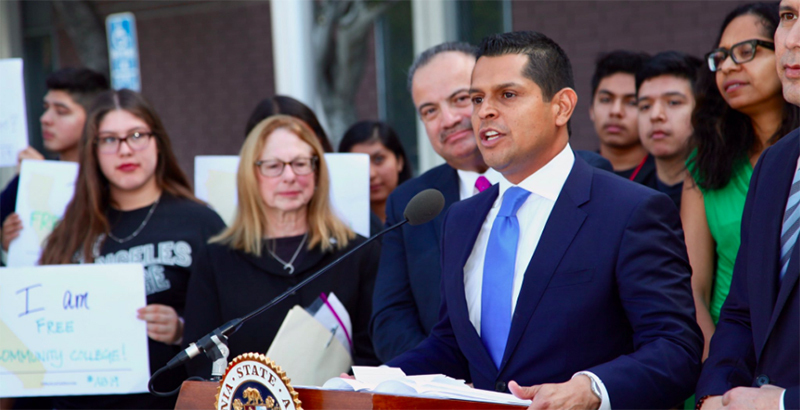 AB 19, authored by Assemblyman Miguel Santiago (D–Los Angeles), expands to the entire state programs already in place in Los Angeles and Long Beach called College Promise. Starting next fall, all students can register for two or more college courses at no cost for the first year at any of the 114 community colleges in the state. The state still has to find the money in the budget, though, before it can be offered next year. “I wrote the bill because I attended a community college with a dream of having a good education, and that opportunity changed my life,” Santiago told Univision. AB 705 requires that colleges use high school transcripts in determining course placement for college-level math and English. This is intended to reduce the number of remedial courses and placement tests students have to take. Remedial classes don’t give college credit, and they substantially reduce the chances that students will earn a degree or certificate or transfer to a four-year school. A September report released by the Campaign for College Opportunity showed it takes an average of 6.5 years to get a bachelor’s for community college students transferring to the University of California system and seven years for those transferring to the California State University system. “By allowing more community college students to enroll into college-level classes, the state has removed an enormous roadblock for students forging their own pathway out of poverty. We applaud the state for finding a new solution to ineffective remedial placement tests and look forward to continuing the advancement of equal opportunities for all students,” Elise Buik, president and CEO of United Way of Greater Los Angeles, said in a statement. According to The Campaign for College Opportunity, one of the community organizations that formed a broad-based coalition of community college faculty, civil rights organizations, and businesses that supported AB 705, this law was introduced because more than 75 percent of California’s community college students are being assessed and placed into pre-college-level courses annually, despite evidence that many of them could be successful in college-level courses. 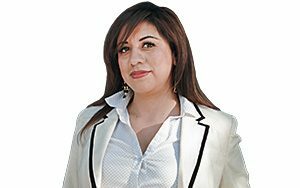 “Our current remedial education process conflicts with California’s goals for student success and wastes large amounts of human talent. AB 705 helps fix broken practices and puts into place policies guided by data and research,” Assemblymember Jacqui Irwin (D–Thousand Oaks), who authored the bill, said in the statement. Andrés Salazar, a student at College of the Canyons, a community college in Santa Clarita, said in statement after the governor signed the bill that he knows why this legislation is so important for students like him.